The FT2000 SSB Tx BW can attain 4Khz!! The FTdx9000 and FTdx5000 can be programmed to a 4Khz SSB Tx BW, so should the FT2000. That's what I've always believed and sure enough, it can! Yours truly was the FIRST to find the magic buttons even though others posted (K3UR, KC4PE and others) as if they found it. So how is it done? Access Menu #85 and look at all of the entries. One of them is labeled "1-30" and another "3000" or "3000WB". "WB" stands for "Wide Band". As you read in the "How to EQ . . " section, both are identical. So the "dual" entry implies that the "WB" can be made to extend further. And it can! How? Simply do the following; With the radio "OFF", press and hold the CONT and DNR buttons while pressing the main Power button. The radio will turn on normally except that when you access the "Tx BW" menu #085, you'll see that the "3000WB" has been replaced with "TTBF". So now, "1-30" is still the same, 50hz to 3Khz but the newly added "TTBF" has 50hz to 4Khz Tx BW. The SSB Rx BW is still 40hz to 4Khz. You can return the radio to 3Khz SSB BW by repeating the same steps at turn on. Very simple! Unfortunately, the EQ schemes that I've developed for the "3Khz" Tx BW need to be augmented to take advantage of the increased 4Khz SSB BW. I've added a new section to compliment the 3Khz EQ section called "How to EQ the FT2000 - 4Khz Tx BW". Click here to see my current audio rack settings. The old section was renamed to "How to EQ the FT2000 - 3Khz Tx BW". The new TTBF EQ section will build as time progresses. The MP3 clip below demonstrates the fuller 4Khz SSB audio captured by Duke, NA1A on a Flex5000A @ 4Khz BW. The extra BW, results in a more "relaxed" and "open" sound. This clip shows that fullness can also be had at the same time! FT2000 Roofing Filter Development Received an interesting note about the ongoing effort to develop better roofing filters for the FT2000. The detailed info is posted on AC0C's web site here. Basically, the effort is to develop a crystal filter to replace the "lump-constant" design roofing filter [3Khz] now in the FT2000. This is of interest to "contest" oriented HAMS where overload from adjacent strong signals could be a problem. This filter is a huge improvement. It's been some time in the making but looks like a really simple replacement for one of the FT2000 roofing filters and the results is an increase of about 24 dB in the IMDDR 3 @ 2 kHz. I have known Charlie W5VIN for several years - great technician and Jeff AC0C for about the past year and a half. I've been involved in a Yahoo FT2000 tech group for the last year or so and have followed and discussed this with them during the development stage. I think it's a winner and I'll be ordering one. The link shows the details of the development so far along w/ how-to-install the new filter. Note that at this point, the 2Khz filter is in the development stage. The final product should be much easier to install. As of June 2016, the NS filter is no longer available. According to Jeff, AC0C, he estimates at least 25,000 of the FT2000 and daughter FT950 rigs were sold in the production lifetime making it one of Yaesu's most successful products. Check out the improvement for the FT2000 for the installed NS filter here . Talk about an impressive difference!
. . . QST Magazine Rankings of the Modern Day Radios . . .
Be prepared for a <<SHOCK>>, the FTdx5000's rcvr is a brick-wall of 114db! Even the SSB transmitter's 3rd Order IMD specs are apx 10db better than the next closest radio!!! Nov 24, 2018: The format of the report has changed to "landscape" in order to better fit the large amount of data for each item. A good change IMO. Also added a "Power Amplifier" section to review and rank the many HF linear amps available going back to 1997. 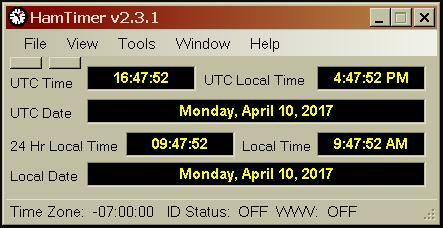 New addtion for this month: FT-818ND and Palstar LA-1K firmware. Click here to download this latest version. The FT2000 is the 3rd generation in the lineage of the high-end "FT" line of radios. The original, the FT-1000, was released in the 1980s. This proved to be a very reliable radio. I can vouch for that since I had mine 18 years! Next was FT-1000MP which was released in the mid 90s. This was a 'hybrid' since it was Yaesu's attempt to marry analog and digital techniques. In early 2000, the FT-9000 series was released. Finally in 2005, the FT2000 was released. This radio contains the best of the "old" analog radios and the "new" digital world of electronics called Digital Signal Processing [DSP]. A word about the FT-1000; a great radio which never made a big splash on the ESSB world until the mods I designed and implemented made it a real 'sweet' player [60hz to 3.2Khz Tx; 50hz to 5Khz Rx]. All of the filters used in the FT1000MP mods were directly taken from my FT1000 development. If you want to see the details, click here. Too bad that the techniques involved a lot of ckt part changes which put off a lot of FT1000 owners. The information here centers the use of external audio equipment and, secondarily, use of the internal parametric EQ to attain improved Tx ESSB audio. The techniques described here are directly applicable to the FT2000, however the recommendations are applicable to any modern HF transceiver. The capabilities of this radio seem, at first, overwhelming. But once you spend some time looking at the operational manuals, browsing through the schematics and playing with the knobs, you see the best of all worlds is built into this radio. The "Technical Supplement Menu" section contains the "service" documentation for the FT2000 and DMU module. Each PDF contains the schematics, board layout and parts-list of all modules. This data is a must if you plan on making any changes. Also, the "Alignment" manual contains the "how-to-do" instructions including the required test equipment to properly align the radio. Please RIGHT-CLICK and select "Save Target As" to download the PDF files. The main Service Manual is 25Mb! The Owners Manual's internals can be copied and/or extracted to other programs. 12/12/08 (1) Service Manual with Module/Board Schematics + Board Layout + Parts List [PDF - 25Mb]. . .
02/20/14 (2) FT2000 Alignment Manual [PDF - 712KB]. . .
02/10/09 (3) DMU-2000 Service Manual [PDF - 1.5Mb]. . .
9/12/10 (4) FT-2000D Owners Manual (w/ Password Removed!) (11.54 + 1.52) [PDF - 7.93Mb]. . .
1/09/18 (5) FT-2000 Alignment Menu Settings plus Changes [PDF - 13.1Kb]. . .
7/4/12 (6) FT-2000D User Menu Values courtesy KI5IO [PDF - 350Kb]. . . In the "Audio Techniques Menu" section, specific instructions for attaining 'good' ESSB audio including adjustment techniques, alignment improvements as well as tips for proper audio system interconnection. Included are links to equipment manufacturers. These techniques are applicable to any radio however they are tailored for the FT2000. 10/10/08 (10) How do I adjust my audio equipment to get good transmit audio? 10/12/13 (11) How do I remove the AC HUM from my SSB Tx audio?? 9/21/08 (12) How do the Marshall MXL2003, Neumann TLM103 and EV RE27 mics compare? 9/21/08 (13) How does the Marshall MXL V77 Tube mic compare with the others? 9/21/08 (14) Are 'Groove Tubes' warmer? In the "FT2000 Modification/Alignment/Repair Menu" section, improvements to the FT2000's circuits are shown. Mose "Mods" are shown in detail using Spice ckt analysis to show the actual performance of the "stock" ckt as compared to the improved operation after the mods are made. In addition, all of the details of required parts along with instructions that show how-to-accomplish the changes including the PWB parts layout from the Service Manual. Presently, there are technical analysis of the FT2000's VOX and MIC ckts. In the "Repair" section, the failure of a front panel pushbutton (PB) is explained and the repair steps are shown in words and pictures. 1/14/09 (3) Stop RFI Problems with a Coaxial Line Isolator . . .
10/23/10 (4) Make your LCD meter immune to RFI . . .
12/13/09 (5) Add Panadapter Capability to FT-2000/FT-950 . . .
6/14/15 (6) FT-2000 Front Panel "Vox" Button Repair . . .
1/9/17 (7) Novel USB and LSB Alignment Procedure . . .
11/3/14 (8) FTdx3000 Mic Preamp Ckt Improvements for ESSB . . . In the "Amplifier Modification Menu " improvements to accessory equipment such as linear amps, etc are detailed. This section concentrates on using Spice ckt analysis to show the actual performance of the "stock" ckt as compared to the improved operation after the mod(s) are made. In addition, all of the details of required parts along with instructions that show how-to-accomplish the changes including the PWB parts layout from parts suppliers such as Mouser Electronics. Presently, there are a technical analysis of the AL-1500, AL-572 and 6mtr mod to the SB-230. 11/16/18 (2) AL-1500 EBS Ckt Analysis . . .
11/16/18 (3) AL-572 DBC Ckt Analysis . . .
11/5/09 (4) SB-230 6 Mtr Mods by N6CW . . . In the "Antenna Design Techniques Menu " standard methodology for using available antenna design sw to successfully design any type of antenna desired such as "wire", "vertical", "yagis", and "quads" to name a few. The first section concentrates on detailing the necessary design techniques for using Yagi Optimizer [YO], Antenna Optimizer [AO] and Terrain Analyzer [TA]. This design SW was developed and perfected by Brian Beezley, K6STI. In the "General Interest Pics" section, improvements to my home and surrounding area is detailed. Recently "Operation No-Grass", "Solar System Update" and "Bird Spike Repair" were completed with pictures showing the highlights of each project. 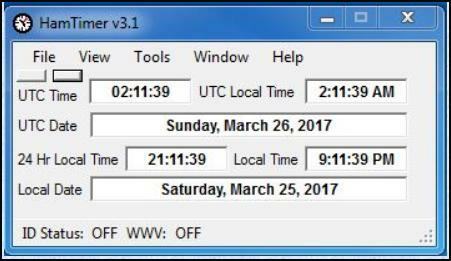 Ham Timer V1.22 is available for ALL Windows. Bj�rn Vangstein, LA5MDA FT-2000 Audio settings here. Checkout W3YY info page for FT-2000 here for early overall review. MARS/CAP mod for FT-2000 here. Mods.dk compilation for FT2000 here. The DXZone for FT-2000 resources here. Larry, W3OZ, ESSB audio info and other neat things here.